ERBIL, Iraqi Kurdistan — It has been nearly a year and a half since the Iraqi Kurds held their referendum on independence. The fallout from the referendum, which faced stiff opposition from Baghdad, the United States, Turkey and Iran, has been devastating. Iraqi forces have driven Kurdish forces out of the disputed territories, most notably the oil-rich province of Kirkuk. The Iraqi Kurds have yet to form a regional government since the September parliamentary elections, but they have reached an informal agreement to make Prime Minister Nechirvan Barzani the new president of the Kurdistan Region of Iraq, replacing his uncle Massoud Barzani, who stepped down after the referendum. Relations with Baghdad, Turkey and Iran are beginning to thaw, but problems remain. Meanwhile, the future of the Kurds in Syria hangs in the balance as the United States continues to flip flop on its Syria policy. Al-Monitor spoke with Prime Minister Nechirvan Barzani at his headquarters in Erbil on a wide range of domestic and regional issues. The following is a transcript of the interview, edited for clarity. Al-Monitor: My first question is, after this turbulent period during and in the aftermath of the September 2017 referendum on Kurdish independence, how are your relations with Baghdad? Have you been able to overcome some of your differences and establish a good working relationship with the government in Baghdad? Barzani: To be sure, we went through a difficult patch following the referendum. It was probably one of the toughest periods that we experienced since 1991. But we were able to resolve some of our problems with the former government, with former Prime Minister Haider al-Abadi, such as lifting the embargo on our airspace and the closure of the airports. And we had the opportunity to participate in the Iraqi national elections. We had substantial success as the Kurdish bloc, but the Kurdistan Democratic Party (KDP) is the No. 1 party in terms of seats in the Iraqi parliament. Obviously, this outcome proved that the political situation in Kurdistan and the contribution of the political parties in Kurdistan is still important to Iraq. And particularly those who were banking on the assumption that the KDP would be marginalized were proven wrong. The KDP clearly remains a power to be reckoned with. We have also participated in the formation of the government in Baghdad and we are active in the government. We see a willingness on the part of the present Prime Minister Adel Abdul Mahdi to be more approachable. But the fact remains that the system in Iraq does not revolve around a single individual. There are many other actors and elements. But I can say wholeheartedly that the relationship that we currently enjoy with Baghdad is far better than it used to be. Al-Monitor: Could you give us any examples? Barzani: We suffered and went through four difficult years. We were stuck in a deep, long, dark tunnel. Now we see light at the end of the tunnel. We have been able to strike a compromise on the budget. It may not be the exact outcome that we desired, but we have come to some understanding. Al-Monitor: So are you getting your 17% share of the budget as was originally agreed upon? Barzani: Look, the budget issue became highly politicized and kind of a stumbling block for the [Iraqi] prime minister to get hung up on 17% or any percent for that matter. That’s why we negotiated something that could work for both sides. We had to be pragmatic. This is a cooling down period with Baghdad. But that is not to say all of our problems are resolved. This is a temporary formula that allows us to address the problem of unpaid salaries of government employees. The salary issue has at least been fixed. We will have a whole year to discuss all the details of the budget before the draft national budget for the next fiscal year is drawn up. We want to avoid quarrels. Al-Monitor: With salaries being paid, the economy must be picking up then? Barzani: Yes, God be praised the economy is improving. You can feel it when you go downtown, to the bazaar. Some of the infrastructure and other projects that were stalled due to the financial crisis have resumed. We owed money to many private companies and private sector banks. We have started paying them back. This is all good news. We have agreed on the customs fees with Baghdad. The Kurdistan Regional Government (KRG) is harmonizing customs fees with the central government. Al-Monitor: Does this apply to the Khabur border crossing with Turkey as well? Barzani: Yes, everywhere. We are all Iraqis and the border problem has been solved. There were many checkpoints between the borders of KRG territory and those of the central government territory. Now they removed these checkpoints and by removing these checkpoints they facilitated trade. Al-Monitor: When you speak about the boundaries of KRG territory, those have changed since the referendum. Iraqi forces have moved into all of the disputed territories, including Kirkuk. Can we talk about the current status of these disputed territories? Now what? Barzani: The term is quite clear: disputed territory. This means it does not fully belong to them. Who controls these territories is a different matter. But this does not alter the fact that they remain in dispute. When I spoke to Prime Minister Adel Abdul Mahdi, I told him that if we are to have a stable Iraq and resolve our differences, the two key issues that need to be addressed are the revenue sharing arrangements between Baghdad and the KRG, and the disputed territories. Of course, there are other problems, but we need to concentrate on these first. Al-Monitor: As president of the Kurdistan Region of Iraq, will that be one of your priorities? Barzani: Absolutely. I travel to Baghdad constantly and I was there only two weeks ago. Al-Monitor: Can we say you are the person that is now running that relationship? Barzani: Yes, of course. Solving these two issues will be one of my top priorities as president. You mentioned Kirkuk. If we have a revenue sharing agreement and the KRG gets its fair share, the matter of which part of Kirkuk belongs to whom will automatically be clarified. Al-Monitor: Do you still believe that Article 140 of the Iraqi Constitution, which calls for a referendum on the disputed territories, needs to be implemented? Al-Monitor: Does the Iraqi prime minister understand that? Barzani: Look, there is no other politician in Iraq who understands, who fully absorbs the Kurdish issue as well as Mahdi does. Barzani: Because he’s been with us for many years. He’s been with us since the 1980s. He was a warrior, part of the opposition, alongside us. We cooperated with his fellow fighters. I’ve known him since I was a kid. He’s a friend and he’s willing to address our problems and we sincerely hope that he will continue to do so. Al-Monitor: But you also said that the system in Iraq does not center on individuals, that there is a system. Iran appears to figure prominently in that system. Iran is a very influential player in Iraq, would you agree? Barzani: For sure Iran has an important role in Iraq. Relations between Iran and Iraq cannot be reduced to simple bilateral ties. Iran and Iraq have a very long common border. Relations between the two countries are complex and multilayered. There are religious dynamics, social dynamics and trade. Around 45% of Iraq’s electricity comes from Iran. Trade between Iran and Iraq is about $11 billion. Al-Monitor: What do you do when the president of the United States tells you to stop that trade? Doesn’t that place you in a very awkward position? Is the KRG formulating its own policy on this or is it coordinating with Baghdad? Barzani: There is a great deal of cooperation with Baghdad on this issue. Baghdad says there needs to be certain exemptions on certain items, for instance on the electrical supply and the natural gas that is purchased from Iran. The formula for this is that payments for these services should be made in Iraqi dinars rather than in dollars. Iran has agreed to this formula. And we consider the decisions made by Baghdad to be binding in this regard. Al-Monitor: How are the Americans reacting? And how much does their reaction matter, given the deep bitterness felt by the KRG over Washington’s perceived failure to prevent Iraqi forces from moving into the disputed territories after the referendum? Barzani: The whole issue of our differences over the referendum is behind us now. We cannot look at this from just one side, from solely our side. They were also clear about their position, that they did not support the referendum. As far as US sanctions are concerned, we will simply comply with whatever decisions are made between Washington and Baghdad. Full stop. Al-Monitor: Your other big, important neighbor is Turkey and they too were fiercely opposed to the referendum. How are your relations with Ankara? Barzani: If you consider the period during and after the referendum, there were several critical levers Turkey could have used against us and we are deeply grateful that they chose not to. They neither sealed our borders nor turned off the pipeline that carries our oil to export terminals in Turkey. Relations are now good between us, they have improved. Al-Monitor: Turkey seems to be much more active militarily here now, attacking the Kurdistan Workers Party (PKK) with airstrikes and causing civilian deaths. There have been loud protests against Turkey by the local population because of this. You seem to be stuck in this perennial position of being caught between Turkey and the PKK. As future president, are you interested in trying to help revive peace talks between Turkey and the PKK? Barzani: Just a reminder, I was present at the inauguration ceremony last year of [Turkish] President Recep Tayyip Erdogan. And that was the first step in our post-referendum thaw. I have always said this very openly and explicitly, the PKK is providing the pretext for Turkish intervention. We cannot accept that the Kurdistan region is used as a safe haven for such groups to operate against our neighbors. So we need to recognize Turkey’s legitimate security concerns. However, this situation has persisted for quite some time. It’s clear that a purely military solution will not provide a lasting solution. At the end of the day, there needs to be dialogue. In the past we were able to talk Mr. Erdogan, both when he was prime minister and now the president, to help create an atmosphere that would allow the peace process, for dialogue to start. We also convinced the other side [the PKK] that peace and dialogue were the only realistic ways forward. Al-Monitor: And you continue to believe that dialogue, peace talks have to happen with this group, the PKK? Because President Erdogan appears to have ruled out any further talks with them and talks of engaging with other “non-terrorist” Kurds. Barzani: If the aim is to resolve this issue fully, this groups need to be engaged. Al-Monitor: And should the imprisoned PKK leader, Abdullah Ocalan, be part of that? Barzani: Without question. He should be one of the key interlocutors. Al-Monitor: But in the meantime the Americans are trying, supposedly, to separate the PKK from their partners in Syria, the Syrian Kurdish People’s Protection Units (YPG) and its political arm, the Democratic Union Party (PYD). They are trying to get both of these Syrian Kurdish groups to disavow and sever all ties with the PKK leadership in the Qandil Mountains and to persuade the Turks that they can get along with the Kurds in Syria and all live together happily ever after. Is this realistic? Barzani: I don’t believe so. The Kurdish forces currently dominating northeastern Syria have strong links and ties with the PKK and all their instructions, orders are being given by Qandil. Al-Monitor: We are hearing that the Americans have sought your support in separating the YPG from Qandil. Is that true? Barzani: No. But the Americans have asked us to encourage these groups to develop positive ties with Turkey. Al-Monitor: What is your advice to the Syrian Kurds? Should they be talking to the Syrian regime? 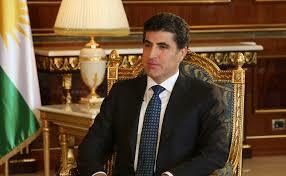 Barzani: I believe the Kurds of Syria should try to find a solution within the framework of a united Syria. They should be engaging in dialogue and negotiations with the regime. Al-Monitor: They should ignore the Americans who are telling them not to do that? Barzani: It’s not a matter of ignoring the Americans. The Americans said their presence in Syria was related to defeating the Islamic State. That was the original purpose for their intervention. The reality is that the regime is still there and that the Kurds of Syria should be talking with the regime in order to gain certain rights. Al-Monitor: Is President Bashar al-Assad prepared to give them any rights? The PYD and YPG leaders I spoke to say no. Barzani: Currently the regime feels that it has the upper hand, but the reality is that there is still a lot of instability in Syria. The minute the government regains sovereignty over all of Syria there will be more stability and the regime will feel confident enough to give the Kurds their rights. The regime will need to deal with the reality that the Kurds are there, that they exist and they have power, they control territories and they have to find the way to solve their problems with the Kurds. Al-Monitor: Given the level of distrust between the sides, who can be the guarantor of any deal between the Kurds and the regime? Is there a role for you to play? Barzani: For us to a lesser extent, we are ready to step up to the plate. But this role can be played even more effectively by the Russians. It’s important for all of us to have a stable neighbor such as Syria, but it’s especially important for Russia. They are very clear on this point. Their strategy is geared toward securing a stable Syria. They can be key players in negotiating a settlement between the Kurds and the regime. Al-Monitor: The Russians are becoming rather influential players here in Iraqi Kurdistan, as well with Rosneft buying a majority stake in the oil pipeline to Turkey. Barzani: In economic terms, we do enjoy good relations with the Russians and they have invested a substantial sum of money here and they will continue to do so, OK? We are in the process of expanding ties. Al-Monitor: And the Americans aren’t upset? Barzani: Our ties with Russia are in the private sector. They are ready to invest and it’s of benefit to us. Al-Monitor: Getting back to Syria, some of the Kurdish officials I spoke to in Syria agreed with you, saying their relationship with the Americans had been beneficial, but that, at this point, the benefits were beginning to be outweighed by the costs. Barzani: Yes, the problem derives from the fact that the United States has never been very clear about its strategy, its policy in Syria. And this is why the Kurds will probably not wait for too long and they recognize the American presence for what it is, a temporary one. Al-Monitor: The fear, though, is that once the Americans pull out, Turkey will intervene militarily against the YPG in Syria. This may have consequences for the KRG, too, with a fresh influx of Syrian Kurdish refugees fleeing Turkish forces. Barzani: Turkey’s security concerns are legitimate and need to be taken very seriously. But having a large Turkish military presence in that region will not provide any solutions. I believe our Kurdish brothers in Syria have behaved negatively toward Turkey. If you look at the background, at the start, Turkish policy was not anti-Kurd in Syria. Their concern was about the PKK and, sadly, our Kurdish brothers in Syria did not hesitate to provoke Turkey on this particular issue. The Turks were prepared to open the border crossing with the PYD, but on the sole condition that they remove the PKK flag, that was back in 2014. And get this, even when we, the KRG, were not enjoying good relations with the PYD [and its former co-chair] Saleh Muslim, the Turks offered to mediate between us and the PYD to improve our ties. And I told them I cannot participate in any such meeting and that I would send [senior KDP official and current Iraqi finance minister] Fuad Hussein instead. In response they did the opposite and went to every extreme to provoke the Turks. For Turkey it’s a national security issue and how can they tolerate nearly their entire border to be controlled by the PKK? We need to hear both sides. Al-Monitor: Finally, when are we going to see a government being formed in the KRG? What is holding this up still? Barzani: We are in intense talks with the [main opposition] Patriotic Union of Kurdistan (PUK) and at the same time negotiating with [the opposition Change movement] Gorran. But the death of [former PUK and Iraqi president] Jalal Talabani has complicated things within the PUK. There are now many different factions within the PUK and we are having to negotiate with all of them and this is clearly a problem. But we have agreed on a framework of how to work together. The fight now is within the PUK over who gets what position. They feel the KDP has given Gorran too much and that they deserve more. Of course, the PUK will remain as a partner and we are pretty confident that we will soon be forming a government. Al-Monitor: Can we say, though, that at the end of the day, your uncle Massoud Barzani [former president of the Kurdistan Region of Iraq and current president of the KDP] remains the real boss? Barzani: Of course! He is the one person who cannot be removed from the scene!